Betty the Sheep: Is Biodiesel Bad? I read a recent article on the New Scientist Environment Blog entitled ‘One more nail in the biodiesel’s coffin’ and it depressed the hell out of me. 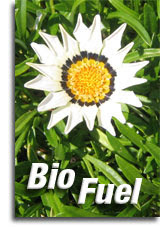 I thought that perhaps biodiesel/biofuel would be in some part an answer to our oil dependency and pollution problems. Unfortunately a new study published by ‘Chemistry & Industry’ suggests that ‘diesel fuel made from rapeseed (canola) oil may produce even more greenhouse gas emissions than conventional diesel made from crude oil’. Apparently the problem is in growing the rapeseed oil because agricultural fields emit a lot of nitrous oxide gas which is 200-300 times as potent a greenhouse gas as carbon dioxide. It turns out that we would probably be better off using conventional fuel and planting lots of trees instead of growing rapeseed oil and burning biofuel. Is there any fuel that we can burn that doesn’t have a disastrous affect on the environment? It's not the fuel that is bad, it's the feedstock. Biodiesel feedstock should be algae, Chinese Tallo Tree (yields 10 time more oil per acre than soybeans) and a tree (I forgot the name)that can be grown in semi-desert conditions from West Africa to West Texas. Somewhere on the web I read that most biodiesel does increase NOx emissions but Blue Funs Fusion blend of biodiesel shows reduced NOx as well as other poluters. To me, the answer seems to be a combination of solar plants; wind, wave,& water current turbines; & nuke plants producing electricity to be stored and transported in super-or ultra-capacitors (look for Feel Good Car Company in Canada to make a plugin electric car than can go 200 miles and be recharged in minutes)or as hydrogen. # posted by Anonymous : May 02, 2007 1:21 p.m.
Look at who wrote it ... they just WREAK of oil money. Obviously burning anything releases CO2, but all petroleum fuels are ADDING CO2 to the atmosphere while biofuels are only adding in what the soybean (or algae or ...) took out. This is what's called "carbon neutral" and it's what all the oil people will somehow overlook in their "studies." The EPA found after exhaustive studies that biodiesel has an energy balance of 3:1, whereas as petrolem in nearly negative. NOX emmissions have been shown to go up or down depending on the feedstock, so that's an unreliable figure, but generally it does go up a bit. NOX does contribute to smog but the loss is easily outweighed by the gain. Technology might come along and make that issue moot anyway. You were right, fear not! # posted by Paul : May 02, 2007 4:19 p.m. Thanks, I'm less depressed after reading your comments. # posted by Betty the Sheep : May 03, 2007 8:05 a.m.
# posted by Pure Cork Boy : May 13, 2007 6:19 p.m.